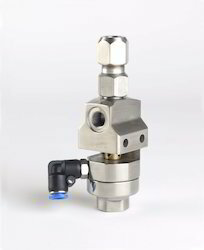 Specifications: Nozzle Standard: 1.4 mm Operating Pressure: 20-60 PSI Air Consumption: 8.8 cfm Other specifications: Stainless steel nozzle & needle. 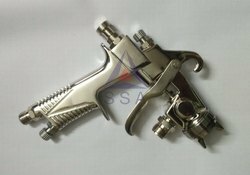 Our company is counted among the leading industry which is involved in offering a wide assortment of Akari HVLP Spray Gun to our clients. HVLP Spray Gun is easy to use, safe and highly effective. With the long years of involvement and sincerity, we are presenting preeminent quality collection of HVLP Electric Spray Gun. Presented products are designed and developed by engineers underneath the support of modern tools and tackles. These products are precisely engineered and highly respected for their finest quality and easy installations.